Clients can avail us wide range of Starch Powder that is consisting of a large number of a glucose units. Formulated using finest quality material, this range of chemical is in adherence to industry quality norms. Furthermore, we ensure timely delivery at the clients end. Rich fundamental properties make this product ideal for various commercial usage. Established in 2003, we, Sheetal Enterprises, capitalizing on our vast industry experience of more than a decade, we have established ourselves firmly in the market. Supplier of Hepta Zinc Sulphat and trader of Mineral Powders & Chemicals such as Poly Aluminium Chloride, Ferric & Non Ferric Alum, Zinc Sulphate (Hepta / Mono), Rosin, Starch Powder and Paper Chemicals. 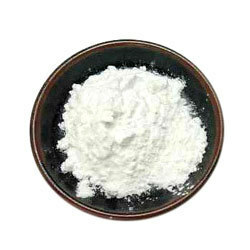 Apart from these, we also offer Kaolin Powder, Calcium Carbonate, Dolomite, Talc Powder, Quartz and Calcined Alumina. We formulate these chemicals using premium quality compounds such as Zinc Ash, Brass Ash and Zinc Dust. Our range is thoroughly tested on various parameters and is appreciated for its accurate composition, purity, extended shelf life and effectivity. We have become a preferred choice of our clients for our ethical business principles and customer oriented approach. Our consignments are delivered on time and we provide customization facility to meet diverse requirements of the clients. To ensure amicable and long term business relations with clients, we make sure that our business dealings are transparent and convenient. All these factors have enabled us to gain a wide client base in the markets of Indian Subcontinent.